Libby over at The Twisted Ribbon is having a HUGE sale on her hair accessories. 1.5" Crocheted headbands for $.38. BottleCaps $.75 for 15 (unflattened). crocheted beanies $3.38. Everything is on sale! Go check it out now! I have two great photo deals to share with you from the Picture People. 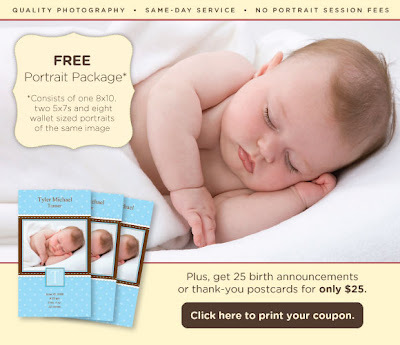 The first is a FREE portrait package consisting of one 8x10, two 5x7s, and eight wallets of the same pose. There is never a session fee at Picture People so that is an awesome deal! Choose one pose and walk away with everything FREE! Click the photo to print your coupon, valid through 10/4! The second is a Buy 2 Get 1 Free on their framed pictures. This ends up being $96 for 3 framed pictures. 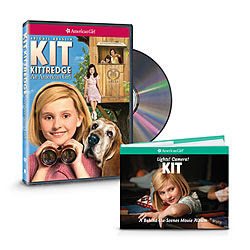 This would make an awesome gift for the grandparents for Christmas. You can find that coupon here. Each day they will have 5 costumes listed for under $5. Shipping is just $4.99. This makes for a great deal on a costume with being under $10.00. Cheaper then Wal-mart for a complete costume. Check back daily because they will change which costumes are on sale every day. "The most talked about release this year is finally out! 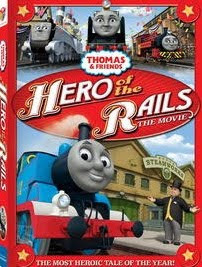 Thomas & Friends 'Hero of the Rails' Movie, the combined production venture of Hit Entertainment and Lionsgate production, was just released into the market on September 8 2009. Finally your little Thomas fan can hear Thomas and his chugging pals talk. That's right...they actually talk! The story opens with proud, boastful Spencer challenging little Thomas into a show of strength. The competition begins with gusto but near the end the race turns into a disaster for poor Thomas. "Cinders and Ashes", whatever will he do? A mini adventure later leads Thomas to meet an old run down engine called Hiro, who's fate could mean scraps but Thomas decides to draw in help from his friends to revive his new friend's broken down engine. The project is anything but easy especially with the regular twists and turns any adventure will have. Watch Thomas and his friends in action and get introduced to 3 new engines- Hiro, Victor and Kevin, in the process! This dvd includes bonus features that include the Thomas & Spencer racing game, Who's pulling into the station game, a Thomas karaoke music video and a Thomas & Friends bedroom makeover." I know my DS is a HUGE train fan and would love this movie for his collection! Stop over HERE on 9/15 to get your coupon for $5 off Luvs diapers. These are sure to go fast so stop by early to get yours! On 9/24 5pm-8pm, visit your local Cold Stone Creamery to participate in their 8th annual ice cream social. While you’re there if you make a donation to the Make-A-Wish foundation you will receive one free 3 oz Jack’s Creation: Sweet cream mixed with brownies and rainbow sprinkles and topped with caramel. While supplies last – Coldstone locator. Go here to print a coupon for $5/1 Enfamil Premium Powder. 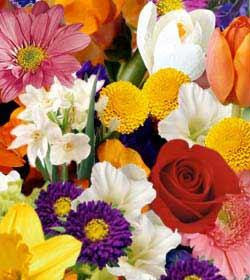 Wednesday (9/9) is Good Neighbor Day, so stop by a participating FTD florist for a FREE bouquet of flowers. Click here to see a list of FTD florists taking part in this promotion. Thanks, Abundant Food Savings! Call 1-800-490-9198 and request item number EPA420-K-07-001 to get a free copy of The Magic School Bus Gets Cleaned Up. Limit one book request per household. See more details on this offer here. With shipping and tax, all four DVDs came out to a total of $27.01. You can see the DVDs that are on sale HERE. Now through Monday, all bows are 40% off and petti's and hats are 25% off.